Difficulty Level: Frogspawn*is generally tolerant, but must have stable alkalinity to survive. Water flow: Medium to lower flow to prevent fleshy polyps from being damaged on rock or skeleton. 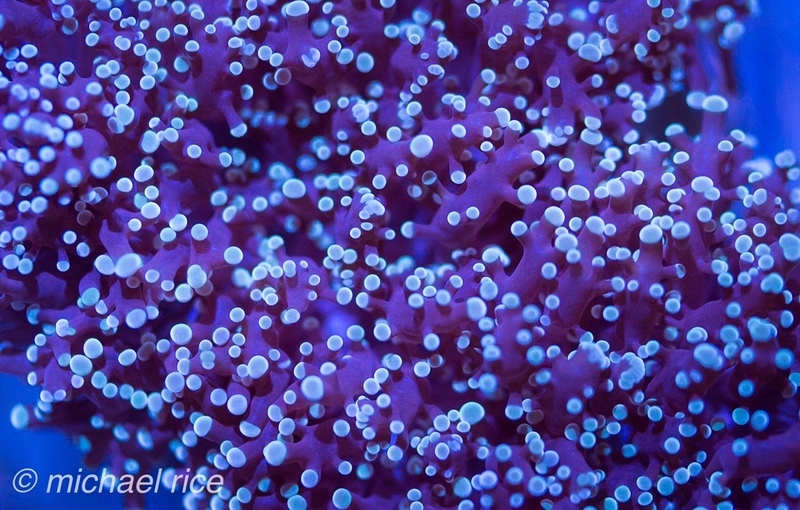 Placement:*Frogspawn can be aggressive towards other corals although they generally do well in close proximity to other*euphyllia*corals with the exception of*torch corals. General: These corals all come in either a wall form or branching form. The branching types may be easily fragged by breaking heads off at the base of the branch. Wall euphyllias and, in general, much more difficult and sensitive to water chemistry. Love the tight nodules on these species of frogspawn.